We are often getting asked by our customers how to do dump big MySQL databases from MAMP or MAMP PRO. The problem is that phpMyAdmin is not really the right tool in most cases because of its PHP limits which are often leading to timeouts. Of course you could increase the limit inside the php.ini file. But mostly you won't do that because you don't wish to have too big differences between your MAMP server settings and the settings of your ISP. Ok, you simply can do your dumps using the terminal - this is a fast an precise way but lots of users love the terminal as the devil the holy water. 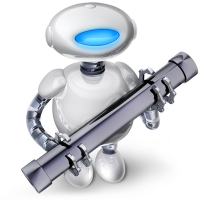 So we thought about a solution which could be used by everyone and we decided to simply create an Automator workflow. 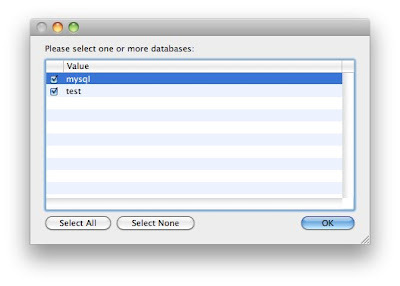 With this tiny tool (it's available as an open source workflow and as an application) you now can dump your MySQL databases from MAMP and MAMP PRO at ease. Choose the database(s) you plan to dump right from the list. Then choose the appropriate character set and the place where the dump should be saved. That's it! We added MY MAMP DUMP as a free project to Sourceforge. The project is published under the GPL license. So if you want to expand or change the workflow just go ahead! Take a look at the MAMP Forum and at the bugbase where we added extra sections for this project.